Edible Wild Food Blog » Tea: Is It Really that Good for You? Drinking tea has a history that dates back more than 3,000 years ago in China. 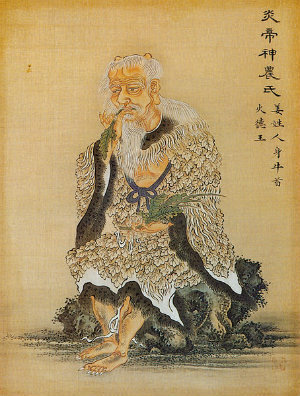 Since Shennong’s discovery, tea has grown to be the drink of choice. Tea leaves were originally used in ritual offerings and then later consumed as a vegetable or used medicinally. In fact tea became a very popular drink in Buddhist monasteries due to the caffeine content. This proved to keep the monks awake during long hours of meditation and for this reason, many monasteries cultivated tea fields. Tea originates from the plant Camellia sinensis, which is technically a tree that can grow up to 9 metres (30’) (although for cultivation purposes they are pruned to about 1 -2 metres). Camellia sinensis requires significant rainfall every year and they tend to grow in acidic soil. Contaminants may vary in the soil, air, or water in which the plants are grown. Acidic soil may result in excess aluminum and fluoride in the plant. When you drink black, white, or green tea, oolong or pu-erh you are drinking tea that all comes from the same plant Camellia sinensis. What makes them taste different is that they are processed differently to attain different levels of oxidation. Now let’s get into what is really in that tea we have all enjoyed for many years. Teas were always consumed using loose leaves and it only made sense that sooner or later convenience would creep in. Around 1908, a New York tea merchant, Thomas Sullivan sent samples of his tea in silk bags. This was assumed to be a replacement for the metal infusers so it was rather by accident that the tea bag came into being. The mesh was too fine so Sullivan developed tea bags made of gauze and in the 1920’s. It wasn’t until after WWII that these bags became very popular in the U.S.
Teekanne, a German tea company reportedly created a tea bag for World War I soldiers. These were named the “tea bombs”, the bags were made of fine cotton and were included in all German soldiers’ provisions. T. I. Tetley-Jones was Tetley Tea’s British representative and in 1939 he brought the ‘tea bag’ idea to the UK. By the late 1940’s the first Tetley tea bag machines (nicknamed the grey ladies) produced 40 tea bags per minute that were produced for export. It wasn’t until 1953 that the tea bag made its way into Great Britain’s market. In 1968 Tetley tea bag sales soared to 5,000 tonnes per year. Meanwhile on American soil many producers took Sullivan’s idea and experimented by making tea bags with different materials. Paper fiber won out as the preferred tea bag material of the day. Hand-sewn bags were replaced by machine-sewn ones. In 1930, William Hermanson (one of the founders of Technical Papers Corporation of Boston) sold his patent for the heat-sealed paper tea bags to the Salada Tea Company. The evolution of tea bags took off and somewhere along this road chlorine was introduced in the bleaching of tea bags so that tea consumers would have a visually appealing product. The bleaching method came with a very heavy price tag to consumer’s health. Chlorine should never be ingested. Loose Leaf or Commercial Tea Bagged Tea? Tea leaves or herbs used in commercial tea bags become nothing more than tea dust in which most of the flavour is extracted after one steeping. This isn’t just the big name tea companies this is also many herbal tea companies as well. What’s worse is when this tea dust is packaged in bleached tea bags. Loose leaf tea when attained from a safe and reliable source is by far the best tea you can drink. In many cases you get high grade tea that can be used multiple times for making lots of tea. Pesticides are widely used around the world and in many countries there is little if any legislation that prohibits the use of these wicked chemicals. In June 2013, Natural News reported that 91 percent of Celestial Seasonings’ ‘all natural’ teas were found to have dangerous levels of pesticides. It does not matter what the company is – beware of the “all natural” claims. To read more about this news story the link is below under the sources. CBC News in Canada just released a shocking news story on March 8, 2014: “Pesticide traces in some tea exceed allowable limits”. CBC tested a variety of black and green teas in an accredited lab which included popular brands such as Lipton, Red Rose, Tetley and Twinings. Other popular brands tested included No Name, Uncle Lee’s Legends of China, King Cole and Signal. Half of the teas tested contained pesticide residues above the allowable limits in Canada. And eight of the 10 brands tested contained multiple chemicals, with one brand containing residues of 22 different pesticides. Yes, it gets worse. In “The Benefits and Risks of Consuming Brewed Tea: Beware of Toxic Element Contamination,” published in the Journal of Toxicology (Volume 2013 (2013), Article ID 370460, 8 pages) our tea has a lot more in it than just pesticides that we should have concern about. In this study off-the-shelf varieties of bagged black, white, green and oolong teas were studied. Is there anything else you should be concerned about? Oh yes, how about the possibility of high levels of fluoride in that tea you’re enjoying? Under normal circumstances this may be fine as the fluoride is in its natural state. Add this to the fluoride in your water (if your community adds it) and if you’re using fluoride toothpaste then this may spell trouble down the road. The Linus Pauling Institute Micronutrient Information Center at Oregon State University has some eye opening information. They report that tea plants accumulate fluoride in their leaves and the older leaves contain the most fluoride. 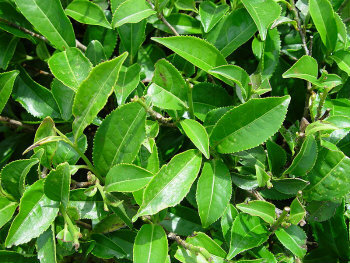 Lower quality teas tend to use these older leaves. Apparently Tibetan children and adults who drink a lot of Brick tea have symptoms of dental and skeletal fluorosis. It is interesting to know that there are no existing guidelines for routine testing or reporting of toxicant levels in “naturally” occurring products. Buyer beware applies here as it does with anything we purchase in life. Do your homework and always ask questions. It only makes sense that whatever is in the soil will make its way into the plants, shrubs and trees that grow in it. If the soil is ‘polluted’ with heavy metals because of nearby industry you can only imagine how much worse that plant product will be for us when it is sprayed with pesticides. E-mail companies and make sure you have the bar code number of the product you are asking questions about. Many companies will not help you unless you have that bar code. We all are being forced to become our own advocates when it comes to our health and perhaps this is a good thing. Nowadays placing trust in the hands of profit-driven corporations is proving to be nothing more than being naïve. Yes, the tea plant is edible but the same goes for this as drinking tea – know the source! There are by far more nutrients gained when eating tea than drinking it. This goes for most plants because they are better raw than cooked. Check out Eat Green Tea to view a chart on the nutritional levels. Enlightening article! Would like to see a follow-up on sources who supply tea free of the contaminants mentioned. Eat Green Tea site is comparing nutrients in 100 gm brewed tea to 100 gm tea leaves? Of course there more than an order or magnitude difference! Wow this is informative. Thank you!